Call time for this morning's shoot, 3am. 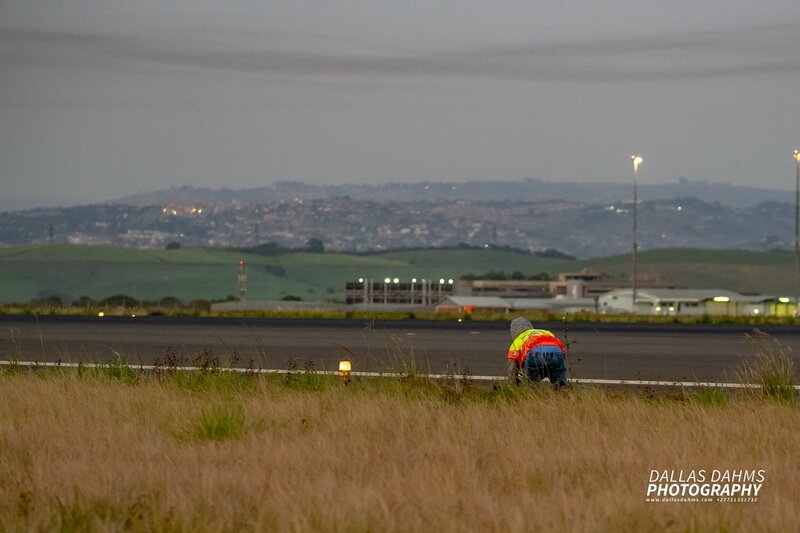 Location, King Shaka International Airport. 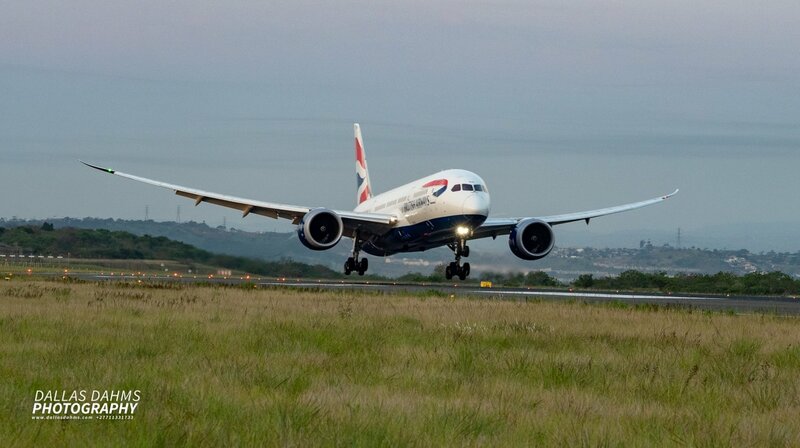 Subject, British Airways' first direct flight from London to Durban. 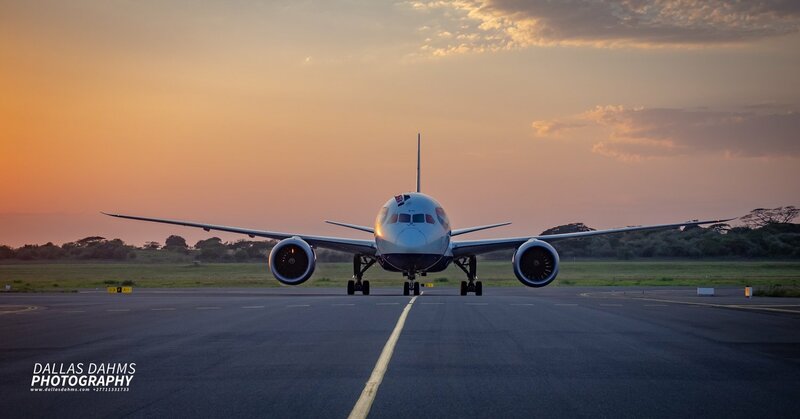 I have to say, there's nothing quite like standing on the side of the runway as a large passenger jet touches down less than 50m from you. 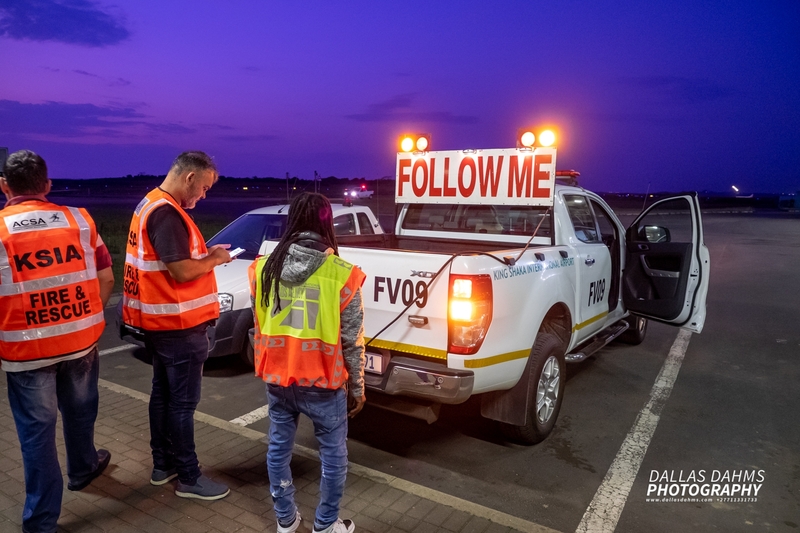 And then getting to ride in the back of the FOLLOW ME vehicle as it taxis into its berth at the terminal. Definitely a shoot I won't forget in a hurry. Waiting at the fire station. 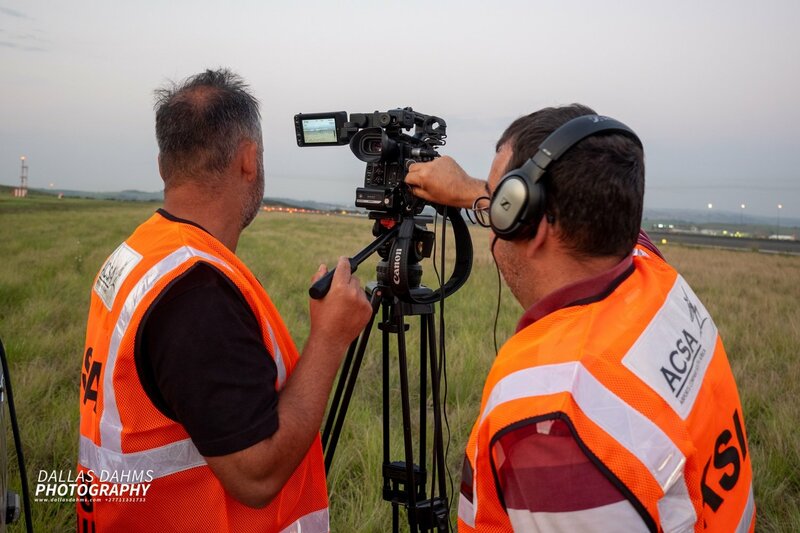 Video crew setting up on the side of the runway. Taxiing to the terminal. 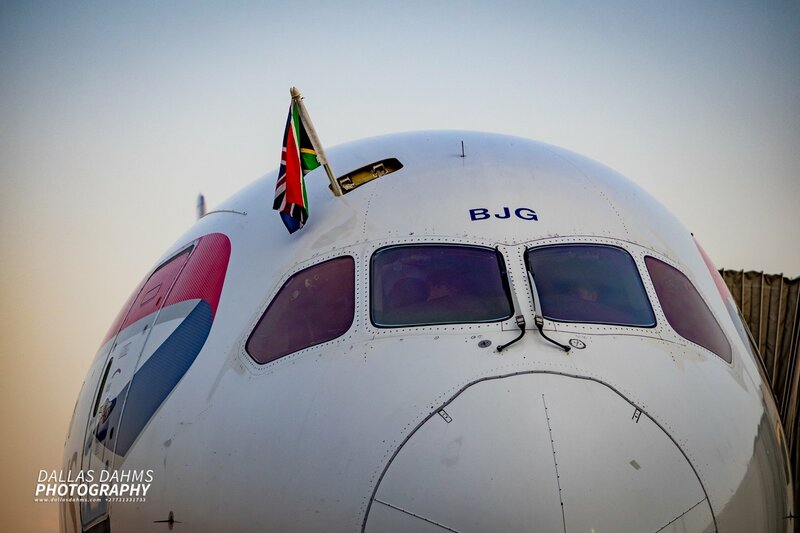 The pilots popped open a hatch and stuck out the Union flag as well as South Africa's flag. A nice touch. 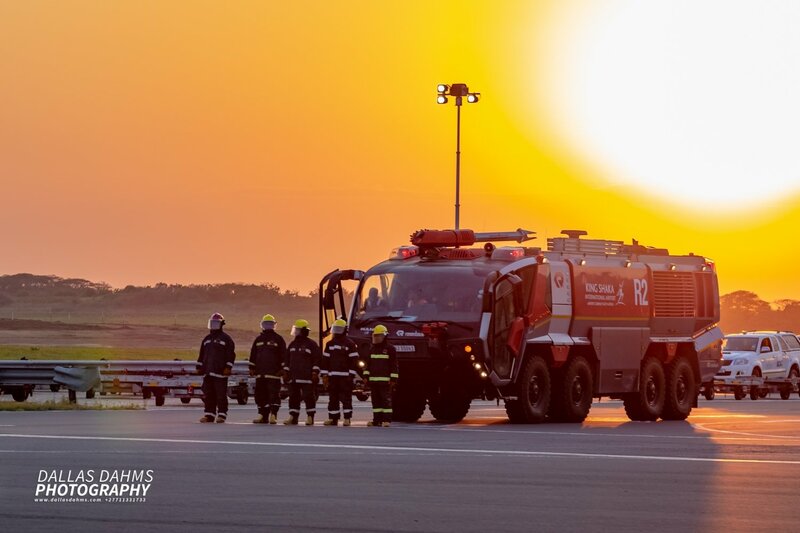 Firemen on standby and giving the flight a salute. I also had to cover the press conference in Umhlanga Rocks at 11am. It's been a looooong day but I hope you enjoy the photos. Looks like something worth getting up early for! Thanks Chris. It was a good shoot. Could have done without the other press there and the press conference later in the morning though. What a great experience, good light as well, thanks for the photographs. Quite a big deal this was. 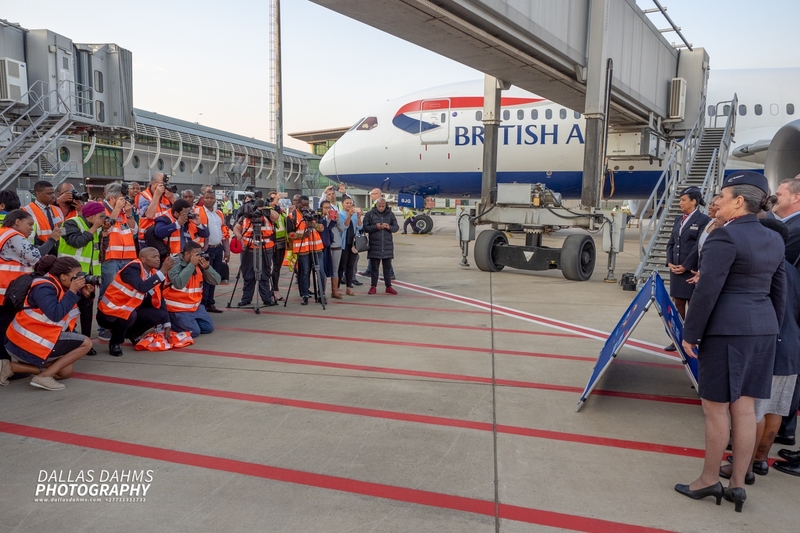 Above is an image to give you an idea of the number of media people who were on the apron (there were still others to the left of the frame). There were only three of us allowed on the runway to shoot the landing though. I was quite amazed at how strict the airport security is. We even had to provide the serial numbers of all our equipment and then Air Traffic Control were pretty firm on where we were allowed to be. The second shot in the video was from a GoPro that one of the videographers left next to the tarmac.